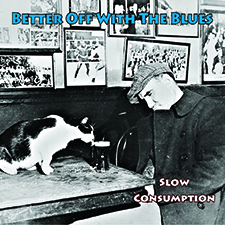 This page is dedicated to the blues players who created the genre as it is today. These are our influences. Skip James (1902-1969). Born Nehemiah Curtis James in Bentonia Mississippi, Skip loved to play in minor keys and minor key tunings. His unique falsetto creates a striking contrast between the softness of the voice and the grittiness of the lyrics and the intricate guitar work. 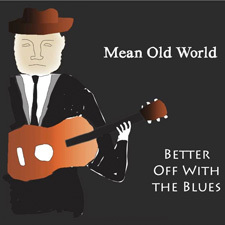 Like many of the old bluesmen, James originally recorded in the early years – in his case in 1931 for Paramount Records – but didn’t do well over time (largely because of the Depression). He was rediscovered in 1964, only 5 years before he died, and played at the Newport Folk Festival of 1964. Sonny Boy Williamson (March 11, 1908 – May 25, 1965): Born as Aleck Ford on the Sara Jones Plantation in Tallahatchie County, Mississippi, Sonny Boy Williamson traveled with and learned from Big Joe Williams, Elmore James, Robert Lockwood and Robert Johnson. Williamson recorded for Trumpet Records (Mississippi) and Chess Records (Chicago) in the 1950s and 1960s, and toured Europe many times (such as at the American Folk Blues Festival). He recorded with The Yardbirds and The Animals. Williamson is said to have set his hotel room in England on fire while trying to cook a rabbit in a coffee percolator. What more need be said? The man lived! Mississippi Fred McDowell (January 12, 1904 – July 3, 1972) was a blues singer and guitar player in the North Mississippi style. Born near Memphis, Tennessee, McDowell moved to Como, Mississippi in 1940 or 1941. There he farmed and played music, and eventually became known internationally. 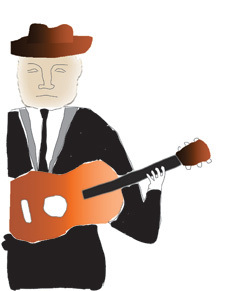 McDowell was known for his slide guitar style and his mournful voice. Mississippi John Hurt (1892 or 1893 – November 2, 1966). Born and raised in Mississippi, Hurt learned to play guitar at age 9. He recorded his first songs in 1928, but lack of sales led him to return to his home town of Avalon, Mississippi, where he worked as a sharecropper and played music at parties. He was rediscovered in 1963 and played at the Newport Folk Festival in 1964. His gentle style and sense of humor have made him a much beloved representative of the country blues genre.